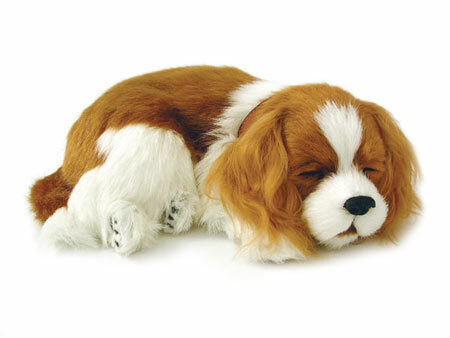 This soft, adorable pet with quiet, realistic breathing offers a relaxing sensory experience for the client who is a pet lover. The puppy measures approx. 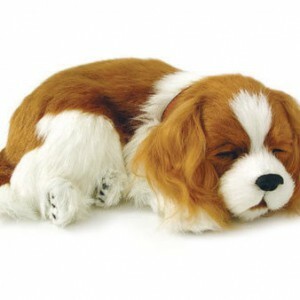 26cm long x 19cm wide by 9cm high and comes with its own bed, brush, collar, pet tag, one D battery, pet tote, and adoption certificate. One D battery keeps the pet breathing for up to 2-3 months.